Kids love a good story, especially when it is about them! So when you’re preparing your child for Thanksgiving dinner, make a social story about how the meal came to be. What family recipes were used? What family traditions were involved? Who is chosen to carve the turkey? What is the story behind the china they are going to eat off of? Take pictures, include their name throughout the story, print it out and read it often. You can even make it funny and talk about a holiday blooper from a previous year! These types of stories support the social and emotional issues surrounding the food served which may facilitate a new thought process for a picky eater. Sweet potatoes might have been rejected initially, but a story about it being grandma’s secret recipe and mommy’s favorite food when she was a little girl might encourage a bite… or two! Once you have made your holiday plans start setting the stage for success! If you are going to grandma’s house and there isn’t enough room at the main dinner table for kids, start practicing with your child eating at the “kids table”. At your Aunt Betty’s and she expects all the kids to eat off china plates? Then start practicing by eating off of “special plates”. Will there be eating by candlelight? Practice with that! Recreate the scenario your child will be experiencing in order to make them feel comfortable and willing to eat in a new environment. 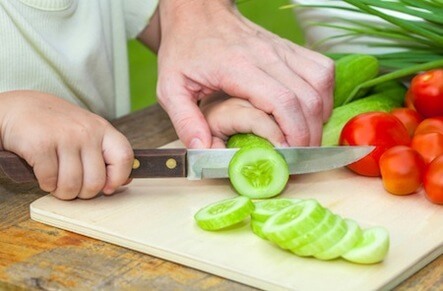 We know that children are much more likely to try a food if they have helped prepare it. When they have a vested interest in the meal it can increase their desire to partake in all the food festivities! Going to your in-laws? Ask if you can bring the salad or dessert that you and little Sally made! It can be stressful when well-meaning family members, who only see your kids once a year, make judgmental comments. “Billy STILL isn’t eating green beans?” “If Johnny came to live with me for a week, I would have him eating.” Statements like these can be hurtful to you and may negatively impact your child. Come prepared with a response to these types of statements. Make sure the responses are delivered in a calm, educating voice. Planning ahead can allow you to feel more confident and help keep you in the mindset of nourishing your child’s emotional needs as well as their nutritional needs during holiday meals. What are some ideas you use to prepare your child for holiday meals? How have you handled negative comments about your child’s picky eating? 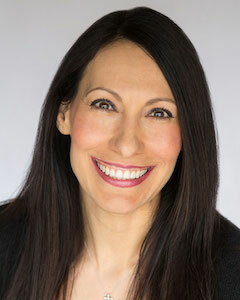 Dawn Winkelmann, M.S, CCC-SLP is a Speech Language Pathologist and Feeding Specialist at her clinic Spectrum Speech & Feeding located in Newport Beach, CA. For more information visit SpectrumSpeech.com.